Uruguay's smallest administrative unit by area, Montevideo Department is by far the country's most populated, containing the southernmost capital in the Americas. Though the city covers most of the department, most tours include visits to several smaller centers with additional lodging, dining, and shopping options. Among the top places to visit in Montevideo Department is the small settlement of Santiago Vazquez, which provides access to one of the most ecologically significant wetland habitats in the country. 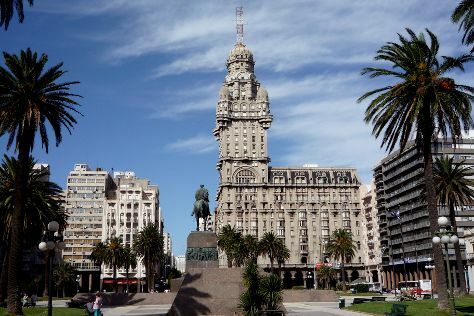 You'll most likely remember your Montevideo Department holiday by the capital city's old town, filled with landmark colonial-era buildings and major theaters, museums, and restaurants. Montevideo Department is in Uruguay. Plan your vacation with our Uruguay road trip app and discover the best things to do in Montevideo Department.